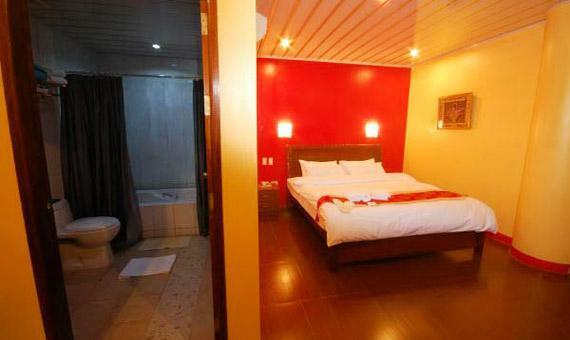 ﻿ A&A Plaza Hotel, Palawan | FROM $23 - SAVE ON AGODA! Have a question for A&A Plaza Hotel? "The staff was very helpful and very kind ." "Handy location comfortable bed definitely stay again." "The location is perfect, just 3 mins walk away from the new airport." "the staff and food was good." 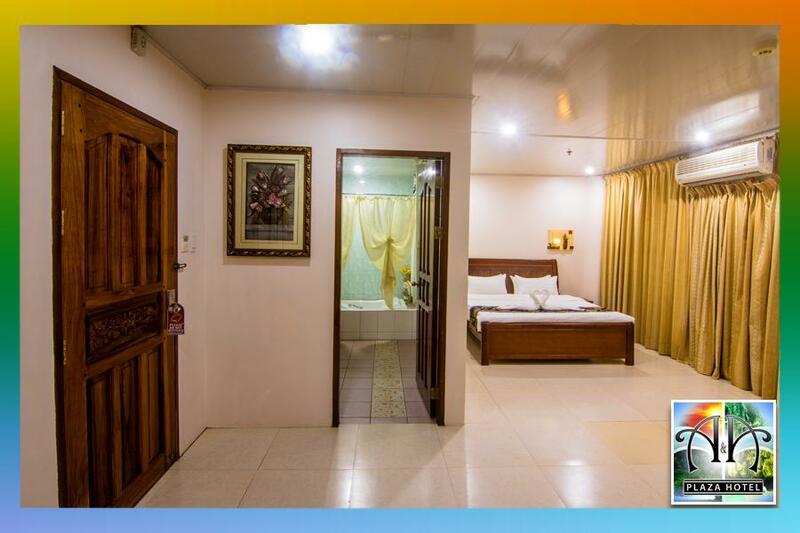 Located in the heart of Puerto Princesa City, this property is ideal for both leisure and business travelers. 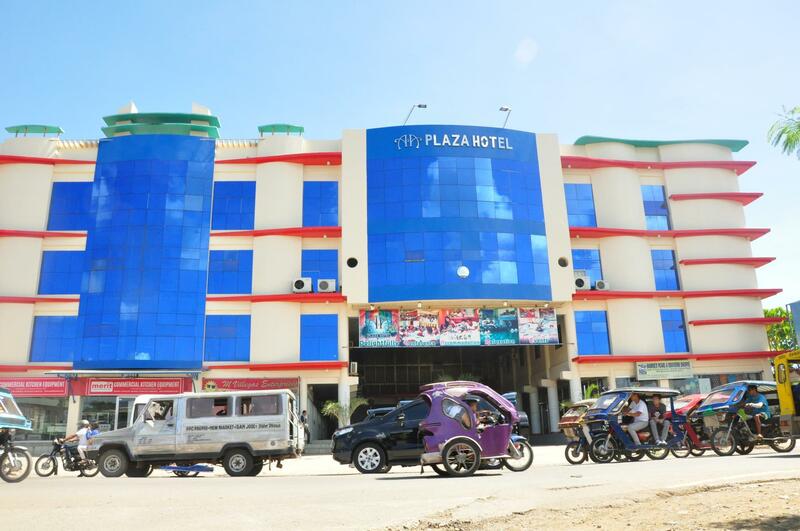 With 86 spacious and elegantly designed rooms on-site, A&A Plaza Hotel features in-room facilities such as individually controlled air conditioning, a hot and cold shower, cable TV, a mini bar, and safety deposit boxes. 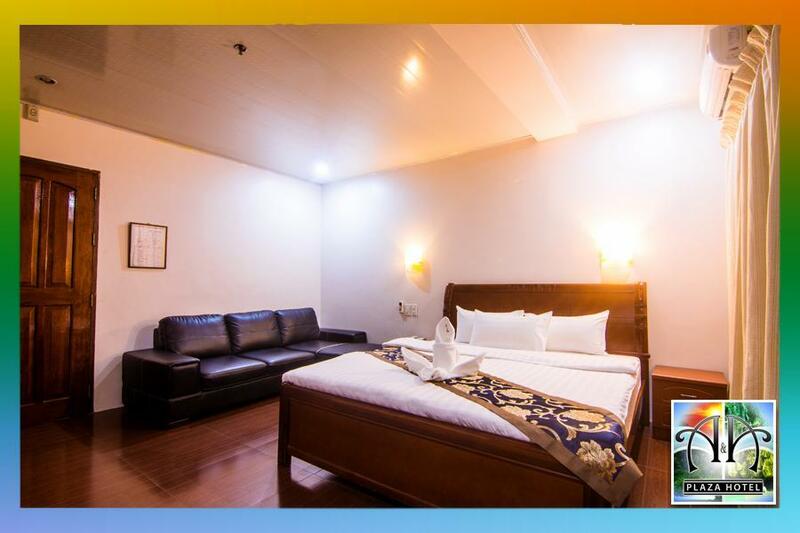 Business travelers will find broadband Internet access and the conference and banquet rooms quite useful. All things considered, the well appointed A&A Plaza Hotel guarantees a comfortable stay. "the staffs are very friendly and willingly to go the extra m..."
one of the worst experince to stay this hotel. We can't eat or drink inside room# elevator not working # no freezer in room# no cup for male coofe. I really not understand why they not allow to eat or drink inside room. 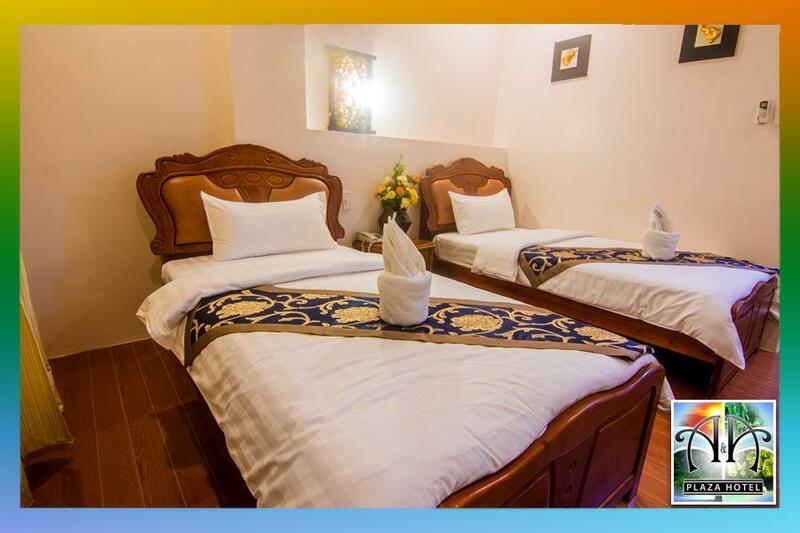 Located along the main road so accessible to anywhere in the city. Near malls, drugstores, market... the staffs are accommodating and nice. A little improvement tho on pest control. The room I requested was a bigger room ( for 3 pax)for I asked for an extra bed and yet they are offering another room for the children which woudl cost me an additional fee. First, it's indicated in their profile of free airport transportation for pick-up/drop off only to find out they no available service leaving us waiting and not giving me any advise and good thing the agency offered a hand. Second, the bathroom fixtures are broken, noisy and hot air conditioning and phone was not working. Otherwise, the staff and food was good. The Hotel is ok. Friendly Staff. Nothing special but it's worth it to stay there. I love there Underground River Background coz it makes me look like Im at the actual Underground River. location was okay. value for money. quite disappointed with our room. got curtains but no windows. overall experience was fine. but will stay again. old hotel. it felt creepy. they placed me in a distant room wherein the hallways are under renovation. faucet was leaking. i haven't had a good sleep because it gave me an unusual feeling. the room smelled like dust. Rooms are not sound proof. You can hear the disturbing voices. Early in the morning you will be disturb by noise of the other guests in the waiting area/function room. Unrelaxing. The room they gave me has no faucet on the c.r..
we had a complimentary airport pick up and we were greeted by friendly staffs. room was comfy and with complimentary water which is a plus. they serve good food and affordable and their buffet is good. 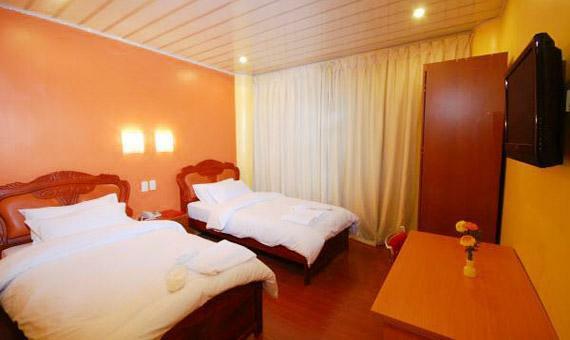 they have salon and massage, you can relax well in this hotel. wifi works in room, free airport shuttle, housekeepers very helpful. Fair price for room. Free airport shuttle service. Shopping/market are within short distance. Sightseeing tour/underground river is excellent. Spring matress old and very uncomfortable for my wife because of her back pain. Bad design for bathroom shower. Bathroom floor only 2" above shower bed splashing water on the floor. Sink drain is leaking because it is lower than main drain line going off the wall. Housekeepers are helpful but management really need to take a serious look at these issues. Overall, the stay at this hotel was one of the best I have had this year. The airport shuttle made things easy for my partner and I. The staff answered all our questions and arranged our tours (which were trouble-free end to end). The breakfast selection changed every day, which meant we did not have to tire of having hotdogs every given day, which is the case in other places. They also have Chow-Na, another restaurant that serves Chinese and the local exotic food, tamilok (woodworm). I would come back to this place again, really. It's good that they arranged transfer between Puerto Princesa Airport and hotel. 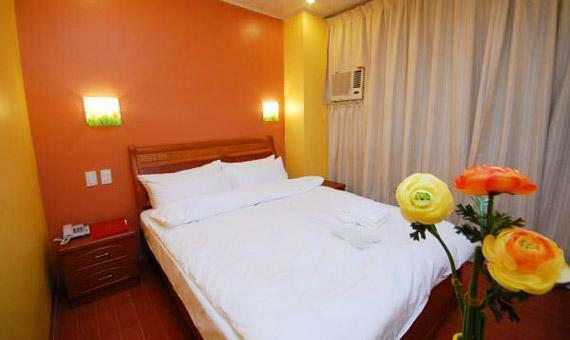 The location is good and easily access to anywhere in Puerto Princesa. There was no hot shower in my bathroom despite they tried to fix the problem. In the end, they changed the room for me which was fine. we stayed two days and nights at the a&a hotel. 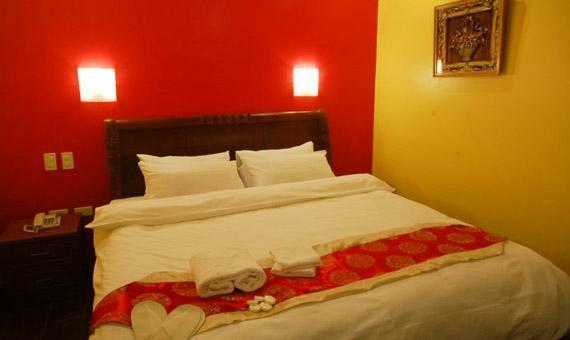 we found the rooms very clean and well taken care of and the staff was always pleasant with a big smile and an attentive ear. 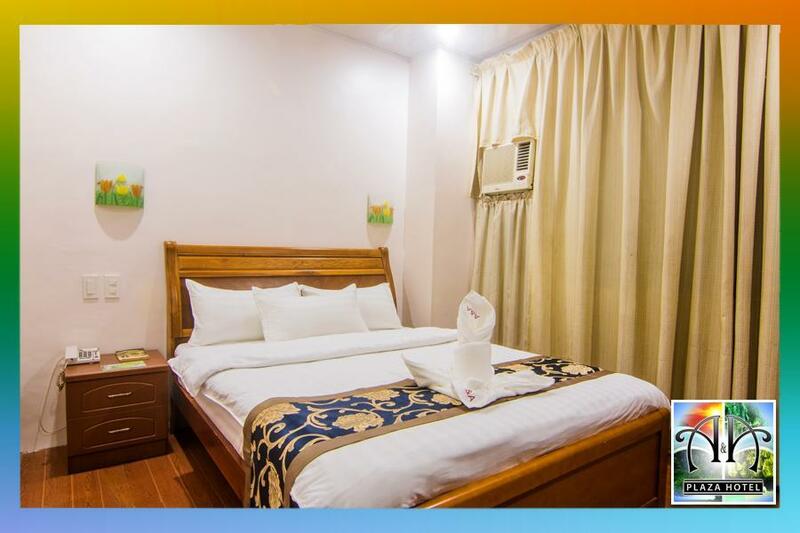 the hotel is well placed on a road that seems connected to everything - the way from the airport, down the street from the governmental hq for palawan, many restaurants and the robinson's mall to name a few. we dined the first night at the on site restaurant which was on the smaller side but done very nicely and the staff was very attentive. the only negative was our desire to have a map of puerto princesa so we might explore with some knowledge of where we were. the was a rack for maps at the hotel desk but they were empty and had there been some it would have cost a fee to get one. the desk clerk informed us that they had been out of them for awhile and did not think they would be getting any anytime soon. if palawan/puerto princesa is going to attract and market themselves they need to have the ability to give tourists maps - preferable free paid for by advertising on the map itself. we made out alright and rides around the city were convenient with the tricycle drivers that waited outside the hotel. it is a very nice hotel from which to explore the greater city. staff were accomodating with our room change. location is great and tour comnaies are just downstairs. you must try the sizzling crocodile at the restaurant. it is awesome! make sure you book your tour with permit ahead of time! We were greeted with complimentary drinks upon check-in. I enjoyed staying at this hotel due to the staff and the hotel being clean. There were only two things that I disliked... First there was an odd smell in the room; it wasn't bad enough to where I requested to change rooms though. I believe the smell was from an armoire they may have restained. The other thing was the distance from Puerto Princessa town. It would be too far and dark to walk from the hotel. Overall, a good hotel a little off the beaten path.